Call Realty, Inc. is a full service real estate brokerage that was established in 2001 in the Phoenix, Arizona area. We have since grown from 1 real estate agent to around 300 real estate professionals. Call Realty covers most parts of Arizona which include; Phoenix, Tempe, Chandler, Mesa, Gilbert, Apache Junction, Queen Creek, Laveen, Scottsdale, Peoria, Glendale, Goodyear, Anthem and more. 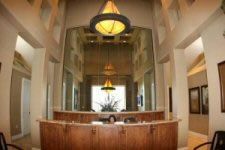 Our main office is located in Gilbert at 2168 E. Williams Field Rd. Suite 240, Gilbert, AZ 85295. Call Realty prides them selves as a highly qualified brokerage to handle all of your real estate needs. Whether you are looking to buy, sell, invest, relocate, or facilitate a short sale, we have the right agent for you. By contacting us online, your request will only be sent to the owner and designate broker of Call Realty. The broker will then understand better the goals that you are reaching to achieve and connect you with an agent best suited for you. Contact us today so that we can quickly begin to help you in all your future real estate endeavors. All of us here at Call Realty wish you the very best and hope that we can become a part of your real estate success.